TKO Flat Bench by TKO at Strongman Pictures. MPN: 860FB. Hurry! Limited time offer. Offer valid only while supplies last. The TKO Flat Bench is ideal for home, vertical and commercial markets. The new, easy handle design and rear transport wheels allow for easy mobility. 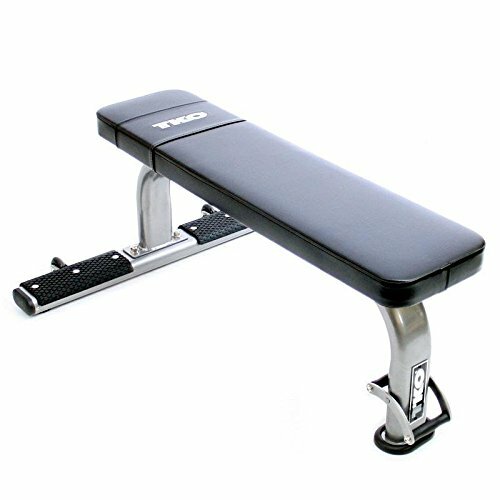 The TKO Flat Bench is ideal for home, vertical and commercial markets. The new, easy handle design and rear transport wheels allow for easy mobility. Single piece mainframe added for extra durability. If you have any questions about this product by TKO, contact us by completing and submitting the form below. If you are looking for a specif part number, please include it with your message.